a Canadian computer scientist and software developer. 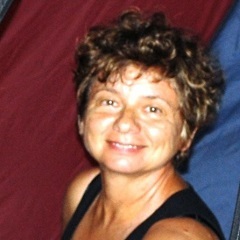 She studied at the Technical University of Łódź and obtained her master degree in computer science on searching techniques and pathology in search  at the Concordia University in Montreal. She has been developing software for 8 years before joining IBM in 1995. In her 1985 paper along with Rajjan Shinghal An empirical comparison of pruning strategies in game trees, NegaScout and PVS was concluded superior to Alpha-Beta in practice  . This page was last edited on 18 March 2019, at 21:05.